KARINA (Caritas Indonesia) is the humanitarian arm of the Bishops’ Conference of Indonesia based in Central Jakarta and officially considered as a member of the Caritas Internationalist confederation. 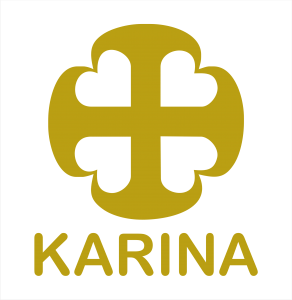 Karina is established in 2006 with focus on disaster management issue which is translate into 4 programs, namely DRR, Diocesan Accompaniment, Partnership for Resiliency, and Capacity Building for Emergency Response. KARINA (Caritas Indonesia) acts as an animator, coordinating and facilitating body for all the 37 Dioceses incorporated under the Bishops’ Conference of Indonesia. Emergency Response (ER) is the mandate of Karina. The Program officer will responsible for facilitation of Diocesan caritas to implement the role and function in ER Project. The facilitation rolw will cover technical assistance of ER , ER capacity building, manage emergency response team in the Karina network. He/She will manage the development program to strengthen the resilience of the target community. Under the direct supervision of KARINA’s Program Manager , He/She will play as a key role in coering all aspects related to the DRR Mainstreaming Project and DRR Contact and Network in order to support the successfull implementation of project. Coordinate all ER dan ER Capacity building in KARINA and it’s networking. Maintain Rooster for ER and update including in KARINA networing. Person in charge for ER and Lead the response in ER division. Coordinate with PM, Support Manager and KARINA Director regarding the ER Issues and project. Developt SOP and ER roadmap foe development of KARINA ER organizational capacity. Document all ER from APP and donor response including ER MEAL. Deus Caritas Est., especially second part, about organized charity action. Based on KARINA and CI guiding values and principles. Working in a team, internally with program staffs ad working team from other institution. Good planning and good implementation. No corruption, accountable and responsible. Transparent (have to appropriate with what had been spent and had been accepted, also show supportive evidence). Write Back to Office Report (to be circulated internally by Communication Officer) after attending meetings/conferences/workshops/trainings/events/site visits to project location with project partners and/or donors. At least 3 year experience working with local partners on programmatic and organizational development. Fluent in English and Bahasa Indonesia: written and oral.